Bloomberg's Mark Halperin apologized Monday after an uproar over a recent interview in which he asked Sen. Ted Cruz (R-Texas) to speak Spanish and name his favorite Cuban food and singer. Halperin seemed particularly concerned with Cruz's background in an interview for the show "With All Due Respect," repeatedly questioning Cruz about his Cuban heritage and asking him to welcome a challenger to the 2016 race "un español." The interview, which Think Progress called "racist," and the Washington Post dubbed "cringey," first aired on April 30, but received more attention over the weekend when Ruben Navarrette penned a column saying the interview “nauseated” him. “People are really interested in you and your identity, so I just want to ask you, as a historical matter, when you filled out your application to Princeton, to Harvard Law School, did you list yourself as a Hispanic?” Halperin asked Cruz. Cruz is Hispanic. His father was born in Cuba and immigrated the United States in the 1950s. Cruz himself was born in Canada, but raised in the United States from the age of 4. Halperin focused on Cruz's background in his interview, asking him whether he had a favorite Cuban food or singer. The line of questioning might have come across as lighthearted, but Halperin kept a straight face throughout, interrupting Cruz if he didn’t immediately give a straight answer. “Finally, I wanted to give you the opportunity to directly welcome your colleague, Sen. [Bernie] Sanders to the race, and I’d like you to do it, if you would, un [sic] español,” Halperin said. Cruz stuck to English. Halperin issued a statement Monday apologizing to Bloomberg viewers and Cruz for the way he conducted the interview. "My intent was to give the Senator a chance to speak further about his heritage and personal connections to the community through some casual questions," the statement says. "I rushed through the questions, and that was a mistake -- it led to poor tone and timing. I also understand why some felt the questions were inappropriate. As for asking Senator Cruz to welcome Senator Sanders to the race in Spanish, that was meant to be the type of light-hearted banter that he's done with us before on the show. In no way was I asking Senator Cruz to 'prove' he was an 'authentic' Latino.' I apologize to those who were offended and to Senator Cruz." Cruz has faced attacks related to his Hispanic identity in the past, mainly from Democratic politicians challenging his political views. Latino Rebels, a widely read news and opinion blog, also took issue with Halperin’s interview. Cruz said on Facebook Monday that he appreciated the apology, but he hadn't taken offense. "Mark Halperin is a serious and fair-minded journalist," Cruz wrote. "Today he kindly issued an apology for some silly questions he asked me in an interview. The apology was unnecessary -- no offense was taken, nor, I believe, intended -- but is certainly appreciated." 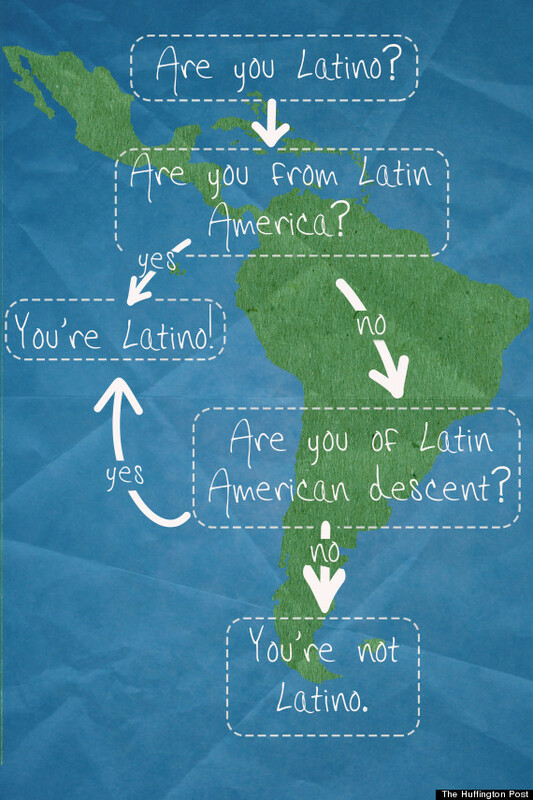 For those still confused about how to tell whether someone is Latino, here’s a handy chart. Note, the terms “Hispanic” and “Latino” are not exactly interchangeable. “Hispanic” generally refers to someone born or descended from a Spanish-speaking country, while “Latino” generally refers to someone born or descended from one of the countries of Latin America. Based on these criteria, Cruz is both. This story has been updated with Cruz's Facebook post.